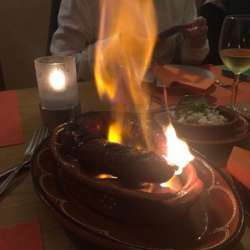 Want some Dinner à la Portugues! Please join me and discover this nice Portugeese restaurant! Protected content is a very nice restaurant serving delicious Portuguese food. Prices for main course start at 15€ roughly. Please only sign up, if you intend to come. In case you can’t make it anyway, please cancel your attendance at least three days in advance. Everyone pays separately for what they consume. Thank you! Looking forward to seeing you and having fun together whilst enjoying yummy food.